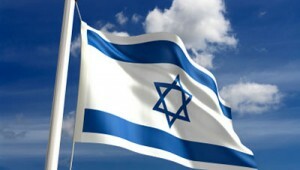 Next week, Israel will elect a new government and I will vote for the first time as an Israeli. As a dual citizen of Israel and the U.S., it’s my second national election in two months. I wrote this prior to the U.S. elections, posting it in a general format, adaptable for use by any democratic nation. In context of Israel, a general prayer is less versatile than I anticipated. It refers to “all who reside within our borders” and “liberty and equality,” high-minded concepts that take on a much different meaning in context of the social and geo-political challenges here. I’ve chosen to leave these concepts in the prayer recognizing that some will consider them political statements, rather than hopes and dreams worthy of our prayers. So be it. In this version I’ve added some classic imagery about Israel from Jewish liturgy and sacred texts. Recognizing the importance of Israel to Jews throughout the world, I’ve also created a second version for non-voters. Here’s a link to the general version of this prayer. So that a new light will shine forth from Zion. To protect homes and secure the borders. Postscript: Reflecting my two citizenships, click for prayers for Israel, as well as Veterans Day prayers, Thanksgiving Day prayers and “A Liturgy for 9-11.” Here’s a link to the general version of this prayer.